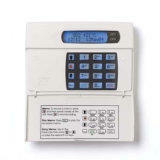 Alarm Repairs, Servicing And Maintenance For Security Alarms, Bradford, Halifax, Huddersfield, & Leeds West Yorkshire. Is Your Alarm Driving You Mad ? Alarm repairs Leeds, Bradford, Halifax & Huddersfield West Yorkshire. 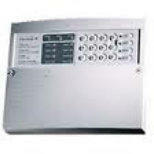 A.D.E burglar alarms Optima Xm, XL, 2 Plus, Concept, Compact, Logic 4, Accenta 8, G3, G4, Karizma. A1 Omnicrom 7000, 8000, ZX6. Bentley Alpha, F133. Bradford Council Alarms Key operated systems. Citidal XR1, XR2 Challanger AP1 to 6, AP200, AP27. SL 8 C & K Intellisence 700L, 800L, 802, Active 5 Castle – Care Tech Omega, Petite, 1600, Euro ESP, Electronics Line, Newlec Infinite wireless burglar alarm Gardtec 300, 350, 370, 490x, 500, 590, 800. Even the best burglar alarm systems can go wrong. Common causes are power cuts and electrical surges, these can cause your burglar alarm system to crash or lockout. We can factory reset your system and re programme it. We carry spare parts for all domestic burglar alarm repairs, most repairs can be completed on the first visit. A.P.P. will always attempt to get your current alarm system up and working, unlike some companies who don't have the know how and then write off the whole system and recommend a complete new one. If the main alarm panel is beyond repair, we can replace the circuit board or, if obsolete the complete panel, using your existing sensors and wiring, thus keeping disruption to your property to a minimum. (excludes older wireless and DIY systems) Other items such as door sensors, passive infra red, vibration detectors and sometimes bell boxes are not repairable. These items can be replaced with up to date versions, which will work with your current burglar alarm system. We can help with the following burglar alarm repairs, • Replacement contact sensors to new doors & windows. • Battery & tamper problems. • Cut or damaged burglar alarm cables. • Intermittent zone faults. • Alarm panels not setting. • Lost codes & re programming. • Upgrades & Servicing. 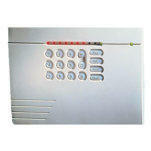 • Burglar Alarm Maintenance. • Replacement Keypads. 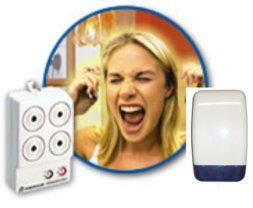 • Burglar Alarm Disconnections. We also repair alarms fitted by companies that are no longer trading or have been taken over, including Hawk Alarms Bradford. 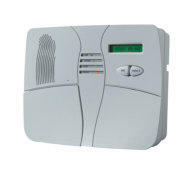 Stocks Security Systems, Croft Security, SS Security, Wilsden Security, Homeguard Security Leeds & D & D Alarms.